Priscilla Presley inscribed each card with notes to her ex-husband. While a lot of collectors would love to see full trading card sets dedicated to all of their favorite TV shows, movies and music acts, basic economics and licensing issues often come in the way. But that's where sets like 2012 Leaf Pop Century swoop in to fill part of the void. The set returns with another all-autograph release that encompasses actors, singers, politicians, athletes, personalities and fringe celebrities. Every box comes with five signature cards. More than 125 people have autographs in 2012 Leaf Pop Century. Headlining the list of new signers is Jennifer Lopez, who was recently named by Forbes as the Most Powerful Celebrity. Although she's had several cut signature cards since being name John McCain's running mate in the 2008 U.S. Presiential election, Sarah Palin signs her first cards in 2012 Leaf Pop Century. Other confirmed signers include Britney Spears, Harrison Ford, Charlie Sheen, Lindsay Lohan, Adam West, Burt Reynolds, Gina Gershon, Rupert Grint and Kate Beckinsale. Former couple Pamela Anderson and Tommy Lee are also in the set. Anderson has signed for several sets in the past but this is the first time the Motley Crue drummer has signed cards. 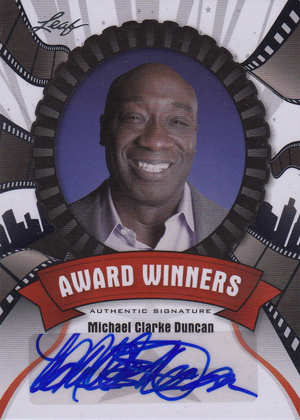 A pair of double-sided multi-signed cards bring entire casts together. The first features all seven of the Von Trapp kids from The Sound of Music. The second has a little more modern appeal. It has autographs from the four leads in television's Pawn Stars: Richard Harrison, Rick Harrison, Corey Harrison and Chumlee. As with past Pop Century sets, collectors can find several different insert sets outside of base autographs. Stunning Starlets highlight some of the hottest leading ladies in entertainment. Award Winners honors those who have won major honors. Dressing Room cards include both an autograph and a large swatch of clothing from the featured star's closet. 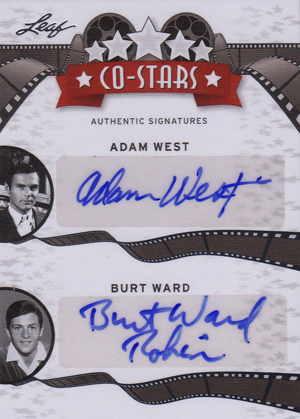 Co-Stars have multiple signatures from celebrities who shared time together on the screen. 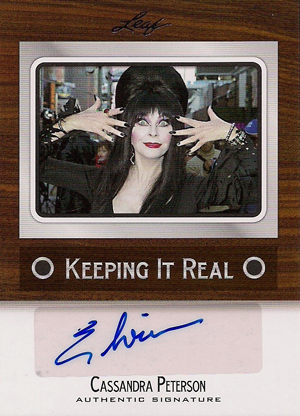 2012 POP CENTURY AUTO: PETER KELAMIS #21 25 AUTOGRAPH "OUTER LIMIT THE X-FILES"
2012 LEAF POP CENTURY AUTO: BARBARA EDEN #13 25 AUTOGRAPH "I DREAM OF JEANNIE"
BRIAN GRAY FROM THE LEAF COMPANY WILL BE HERE FOR IT. HE WILL BE GIVING AWAY NUMEROUS PRIZES FOR THIS EVENT.